Are we in for another long wet Bank Holiday weekend, at our www.weatherfile.com site in Lymington this week we had a rainfall measurement of over 2inches in one day, can there be much water left in the clouds? Planning for an active sporting weekend in a Heat Wave ( or at least some warm weather) an essential piece of kit is the new range of Kestrel Heat Stress Trackers: Kestrel 4400 and Kestrel4600Pro. Essential kit for monitoring environmental conditions critical to preventing heat injury to people and animals. The Kestrel Heat Stress Trackers provide waterless WBGT measurement. Until now, most accurate WBGT measurement tools were large, cumbersome to use and expensive. Quick setup. No time-consuming setup required, accurate readings within minutes. You can set warning zone temperature ranges in accordance with recommended guidelines. Easy to navigate through the screens to quickly access the appropriate information, they also store up to 2300 data points in their memory. Capture information on the spot with the Handheld, Drop-proof Kestrel 4400 and Kestrel 4600Pro, both Tripod-mountable, extremely durable, rugged and Waterproof to IP-67 sealing. FlexiMet Wind Systems have been used to deliver highly accurate, reliable Wind Speed & Direction data during the past few years for visitors and event personnel at RHS Chelsea Flower Show, RHS Hampton Court and the RHS Tatton Park Flower shows. They are used in airports, construction sites, emergency services and any situations where wind monitoring is required. The system allows the flexibility for contractors and visitors on and off site to view real-time wind data. During 2015, along with the installations at RHS flower shows, FlexiMet MWS are being used at prestigious events such as the LV America’s Cup in Portsmouth, AAM Cowes Week on Isle of Wight and the 2016 Olympic venues in Brazil. Richard Paul Russell Ltd introduced the FlexiMet MWS during 2015. These self-contained mobile systems send live data to www.weatherfile.com where wind and weather can be viewed live, online, on any internet connected device ( Phone, Tablet, Laptop or PC ). 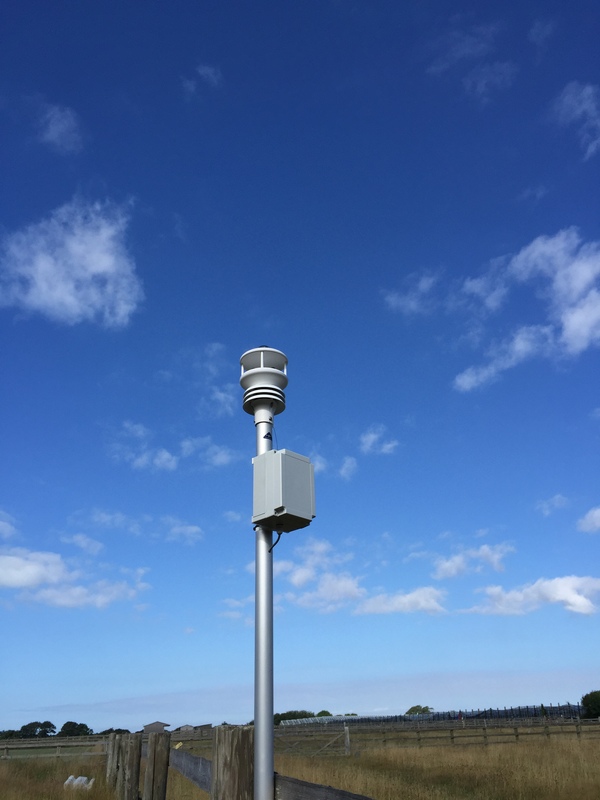 The Mobile Wind and Weather Stations are self-contained, mounted on a 1m aluminium mast suitable for temporary or permanent fixture, with power supplied by a local mains or a battery. Data is recorded on the internal SpaceLogger.W8.Wireless datalogger (data is stored on a removable SD memory card) and also is transmitted live via GRPS into the weatherfile.com database. Short term events such as festivals and sports events may lease or rent a system for the duration than purchase outright. Ask Richard Paul Russell Ltd for details of this cost effective way of monitoring environmental conditions during an event.